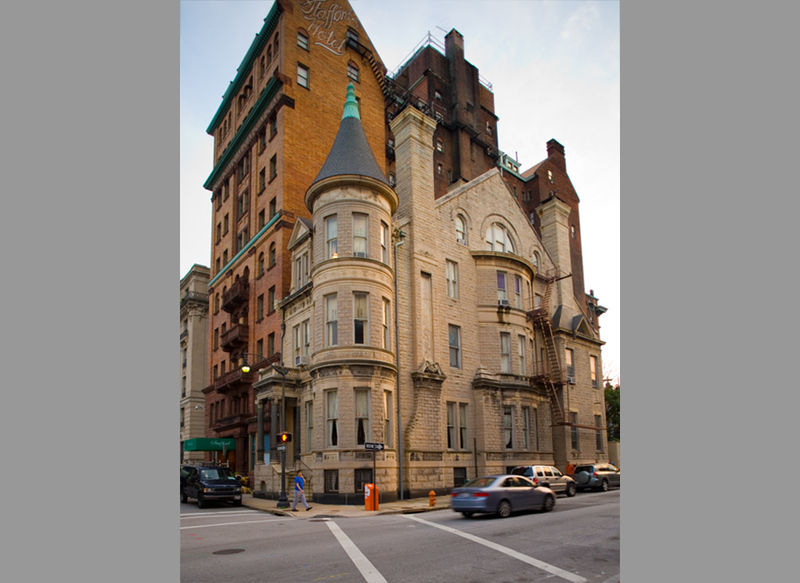 Until the Civil War, the lot on the southwest corner of Charles and Madison Streets was probably the garden of the adjoining Moale mansion, but from 1865 forward there was a house on the site, which was purchased in the late 1880s by George Brown Graham. Graham commissoned an architect to turn it into a French chateau for him, his wife, and his young daughter, but Mr. Graham died around the time of its completion. Mrs. Graham, who had inherited it, moved in and married again, but when she was widowed a second time in 1897, she moved out and never lived in the house again. 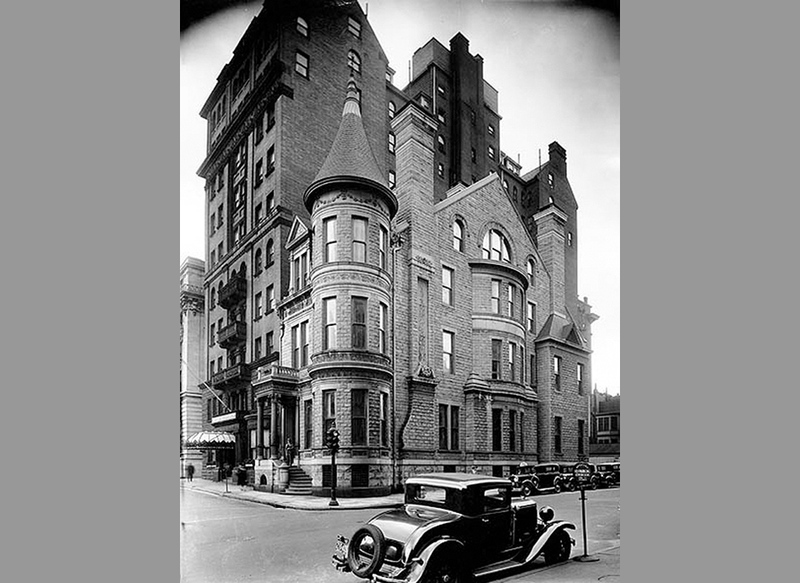 It was rented out until the late 1930s, when the Grahams’ only child, Isabella Brown Graham Hughes, returned to once again live in Baltimore. She spent the second half of her long life in the house, which remained a private residence long after all the other large houses on Charles Street had been converted to other uses.